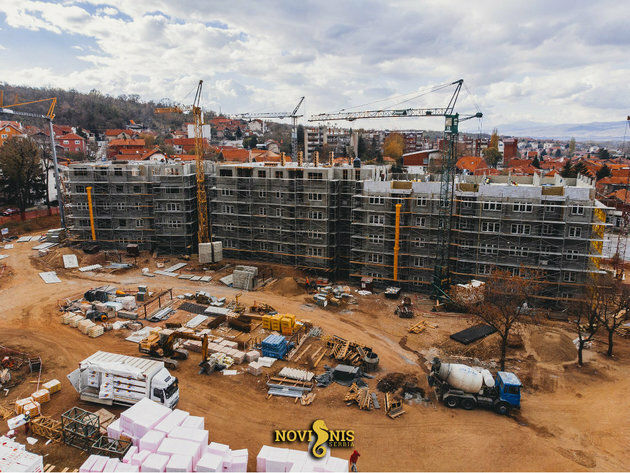 The American company Clean Earth Capital bought the land of the former Bubanjski Heroji barracks in 2011 for EUR 1.5 million, and the foundation stone for the luxury office-residential complex Novi Nis was laid down in the spring of 2016. Two years since, the works in this neighborhood have gathered steam, the buildings are being raised, and the first residents are expected to move in by the spring of 2019. – We are completing Buildings 11 and 12 for Nis Municipality, who will be turning them over to the Serbian Ministry of Defense. The total size of these apartment buildings combined is 7,600 square meters, and they will be completed by December 31. A more up-scale apartment building designed in Washington DC, 76 units in all, will be completed in the Spring of 2019. 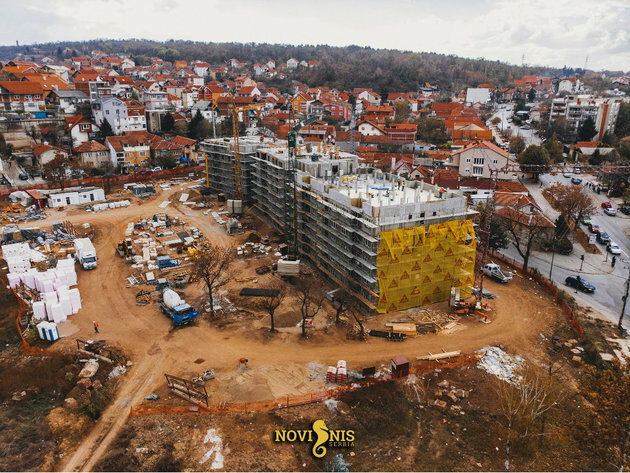 We completed our MRS gas station, which will supply gas to most of our buildings; and two kilometers of cabling to connect Novi Nis with the main electrical power station that will be sufficient for over sqm 220,000 of buildings at our project. Three more Bauhaus designed apartment buildings that will be in excess of 5,200 sqm each, will start construction in January 2019 and we will be finished no later than September 1 in the same year – said Philip Bay, CEO of Clean Earth Capital. As he pointed out, the American company has invested EUR 8.5 million to date, well over EUR 10 million will be invested in 2019 and the total will exceed EUR 140 million. The complex will be unique in this region, as it will feature retail outlets, residential buildings, a business section, an entertainment section, a hotel, an educational segment and a medical facility. 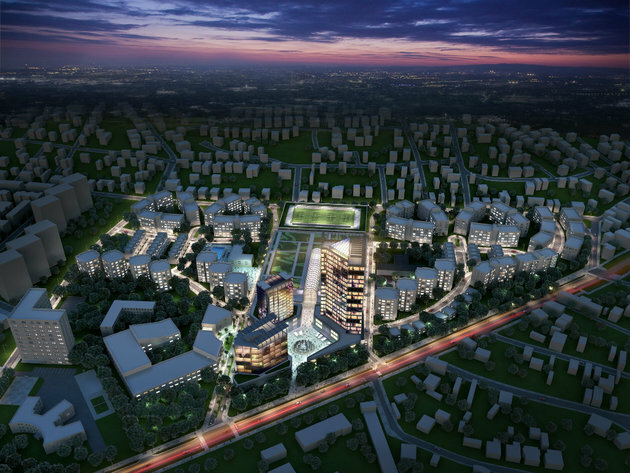 Once it is completed, it will be the only mixed-purpose facility in southeast Europe. Philip Bay says that they submitted location conditions for their commercial buildings the week before. – This includes our shopping center, a hotel, an office building and our signature mixed-use T-tower. In all they will be in excess of 120,000 sqm. Our internal road system is in the process of approval, we have completed water and sewage works for buildings to be delivered and other preparatory works are in the pipeline for other aspects of the project are underway, including a new Lidl supermarket that will be located at the main entrance of Novi Nis. Bay says for eKapija that a lot remains to be done, but that “our pipeline is full and we are constructing at record-breaking speeds”. – Two of our apartment buildings that will be done at the end of December, will have been built from start to finish, turnkey, in less than 140 days. It all depends on the market demand, but we are estimating around 2025-26 for all of our residential and commercial buildings. However, our obligations to deliver apartments to the Nis Municipality and the Ministry of Defense will be completed 20 months ahead of schedule. The estimated and planned size of the mix-use project is over 220,000 square meters, but, as Bay points out, their General Urban Plan allows for nearly 410,000 sqm. 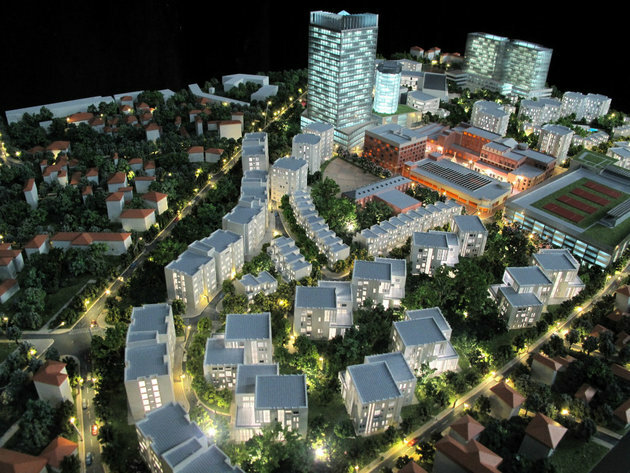 – We will not do a Hong Kong project on our 15 hectares of land and destroy the market forever. We have a phased approach and we want to raise all standards and real estate values for properties throughout the city of Nis. Clean Earth Capital previously worked with AECOM from Virginia in the early phases of the project, and now they are using Leo A. Daly from Washington DC as a designer. – Locally in Nis we are very happy with Forma Antica and BNN as designers and many, many others from Nis, as well as Kodar/Elektromontaza from Belgrade, Inobacka from Novi Sad, Triogradnja from Loznica and also, many, many other subcontractors from all over Serbia – Bay points out. Thanks to the project, Nis was featured on the pages of The New York Times, and Bay says that, while this is not important for the project, it is crucial for the city of Nis. – Articles from newspapers like the New York Times puts us on the map, and raises awareness to the outside world that opportunities and great human resources exist outside of the capital cities. The international community, both at the political and financial level, neglect secondary cities on a daily basis – Bay says for eKapija. When asked why Nis was chosen as the location for the construction of this complex, our interviewee says that the decision was easy. – This is the most neglected and underrated city in Serbia. However, I have known this city for over 20 years and it has such amazing up-tapped human, lifestyle and unnoticed business resources that for me, it was an easy decision. Nis will also have amazing international class access and infrastructure completed by the end of next year. We can drive to Belgrade in two hours, but very soon we can reach Skopje and Sofia in the same amount of time. The Nis Airport is a huge success, despite all the negative comments over three years ago when it was restarted, and the foreign investment in the electronics industry has made a huge difference already – Bay says. Although the initial plan was for the first residents to move in by the end of 2018, there have been several delays. Our interviewee says that “Nis is not Singapore and Serbia is not Switzerland” and that they have had numerous challenges there. – However, it’s the end results that count. We have lots of support from both local government and at the federal level – Philip Bay says and adds that he plans to return to the USA after the completion of the project, more precisely, to Washington, where he used to live with his family before the project started.